We’ve listed the most common questions we receive below but if you don’t find the answer to your question, please fill out the form below and we’d be happy to shed some light on them. Is solar LED lighting a cost-effective solution for commercial lighting? While it only seems reasonable that harnessing the sun’s energy to power your commercial outdoor LED lighting should result in a significant cost savings, it only becomes an economically viable in areas where there isn’t already an existing electrical grid in place. Can we save money by retrofitting our existing outdoor fixtures with LED components instead of replacing them with new LED fixtures? In many cases it is possible to simply retrofit an existing luminaire with new LED components as a means of reducing the projects capital cost. However, it is important to verify that the retrofit meets local electrical standards, and has been DLC approved. Also, if the project is being submitted for government incentives, be sure to check in advance that the proposed retrofit solution will qualify for incentives. Are there light level standards for outdoor lighting? Typically, outdoor lighting for built structures and private areas is enforced by various building and municipal codes that take their cue from recommendations provided by the Illuminating Engineering Society of North America (IESNA). These codes help to determine the illumination levels, location and use for outdoor lighting, but they are not yet standardized. What are the cost-savings advantages of adding sensors and/or photocells? Turning unnecessary outdoor light sources off during daytime hours can drastically reduce energy costs. Photocells have been proven to work well in almost any climate, as long as they’re kept clean to prevent them from perceiving light levels as lower than they actually are, and turning lights on unnecessarily as a result. Because potential savings are very dependent on the usage of the physical space being harvested for light, as well as on the number and quality of daylight hours the space is exposed to in a given year, studies have estimated a wide savings range of anywhere from 20-60%. What does dark-sky compliance mean? Dark-sky compliance is a campaign to reduce light pollution. The advantages of reducing light pollution include an increased number of stars visible at night, reducing the effects of unnatural lighting on the environment, and cutting down on energy usage. Dark sky compliant outdoor light fixtures are properly shielded to direct light downward, below the horizon. What are the advantages to using LED luminaires for our outdoor lighting? LEDs offer many advantages for outdoor lighting, including superior efficacy (how well a light source produces visible light), durability,and compared to other lamp sources, lower maintenance costs. There is also the opportunity for greater optical control such as photocells and dimming, without negatively affecting the rate of lumen depreciation and fixture life. What does the LED rating “180,000 Useful Life Hours, (L70)” mean? Useful life hours are defined as the number of hours an LED device can operate until it emits 70% of its original lumen output. Research suggests that 70 percent of original lumen output is the level where end users begin to notice a drop in light levels. This metric is indicated as L70. How much can we expect to save with LED lighting? LED lighting offers huge potential for savings – without making any reductions in light quality. Depending on the system and controlsinstalled, LED’s can reduce power costs by up to 80%.And with most outdoor lighting operating 12-hours/day, 365-days/year, the savings can really add up! What government incentives are available for outdoor lighting within Ontario? 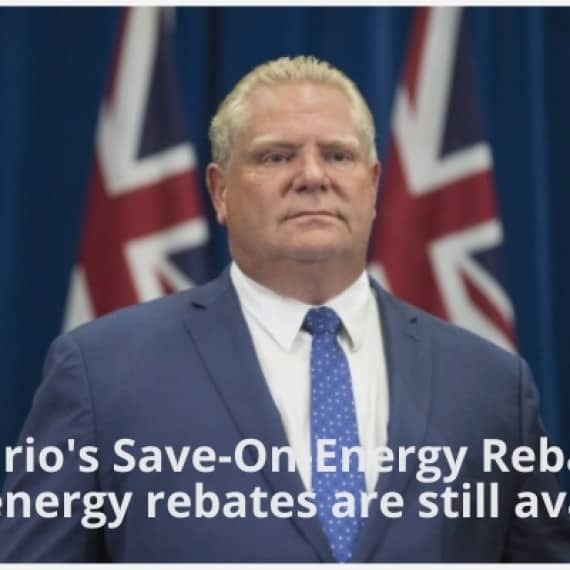 Ontario’ssave-ON-energy Program provides generous incentives for commercial organizations that make the switch to energy efficient lighting. As of the time of writing (Jan.-2016) commercial organizations can receive up to 50% of the projects eligible costs. What are the advantages of LEDs over conventional lighting? LED lighting, also referred to as solid-state lighting (SSL), offers a number of significant advantages that include both energy and cost savings. Because LEDs are essentially a solid-state electronic device, they’re perfectly suited to controlling mechanisms like dimmers, instant on/off controls, occupancy sensors, and daylight harvesting controls. By combining LEDs with various types of lighting controls, they’ve been shown to offer as much as an extra 20% to 60% in energy savings, depending on the application. In fact, lighting controls have proven to be so effective in saving energy that California introduced a building code (Title 24) requiring the use of these controls for demand-response, daylight harvesting, and aisle and open area occupancy sensing. Title 24 calls for controls to reduce lighting in some spaces by at least 50% during unoccupied periods; including the lighting in parking garages, parking lots, and loading areas. As the market for LED lighting continues to skyrocket, so too does the use of advanced control systems that further optimize the controllability of LEDs. Such innovations include connected, intelligent, and adaptive lighting that can be customized to deliver light not only where and when it’s needed, but in the colour (kelvin) preferred, to soften or brighten a targeted space. With VLC technology, the light generated by LED fixtures can communicate with other electronic devices, such as your smart phone. As an example of VLC in use today, Target is trumpeting its new “mobile in-store experience”. This experience involves using a smart phone app to guide shoppers through store aisles, and deliver relevant product information. By using VLC technology, shoppers can be led to within 10 centimeters of their selected product. One final point that’s worth mentioning: because LEDs emit light in a specific direction, the need for reflectors and diffusers is greatly reduced. Fluorescent and “bulb”-shaped incandescent lamps emit light in all directions, with much of it being lost within the fixture itself, or escaping in a direction that’s not useful for the intended application. With many fixture types, this loss of light can equal 50% to 60% of the total light produced. What should I look for when comparing LED fixtures? The first things I look at when selecting an LED fixture for a project are the certification labels. Is the fixture DLC listed and UL approved by the electrical safety authority? Fixtures on the DLC Qualified Products List have been tested to ensure they perform as promised. And without DLC listing, fixtures may not be eligible for government incentives. How efficient is the fixture at producing light? Next, I look at the fixture’s efficiency rating as expressed in Lumens Per Watt (LPW). Simply put, this is an expression of how many lumens (how much light) the fixture provides for every watt of power consumed. The higher the LPW, the greater the efficiency. Note: You want the highest number of lumens from the lowest amount of energy consumption. This is like having a car with great gas mileage! Now, let’s contrast this example with a fixture showing a lower LPW rating. In the specifications below, you can see how this fixture requires 150W to provide comparable light levels (lumens). 15,000 lumens/150W = 100 LPW. In comparison to our first example, this fixture consumes 25% more power to provide the same amount of light. Now let’s see what an extra 25% efficiency looks like in terms of savings. Although the additional annual savings of $5,256.00 from the 120W LEDs may not buy you your dream vacation, when it’s factored over the warrantied, 10-year life of the fixture, you’re suddenly looking at well over $52,000 – and that’s without a hydro rate increase. Even when only a conservative, 3% per annum increase is applied to the savings, you’ll find they jump to over $60,000. Now you’re vacationing in style! The next thing I look at is the overall fixture design and, if possible, the electronic components. In terms of design, it’s important to understand that, unlike conventional light sources that simply produce and emit heat build-up, solid-state LEDs must dissipate heat through the luminaire itself, using heat sinks. Heat is the number one reason for fixture failure in LEDs, and fixture design plays a crucial role in helping to prevent this failure. Design can also have a significant effect on lumen maintenance. 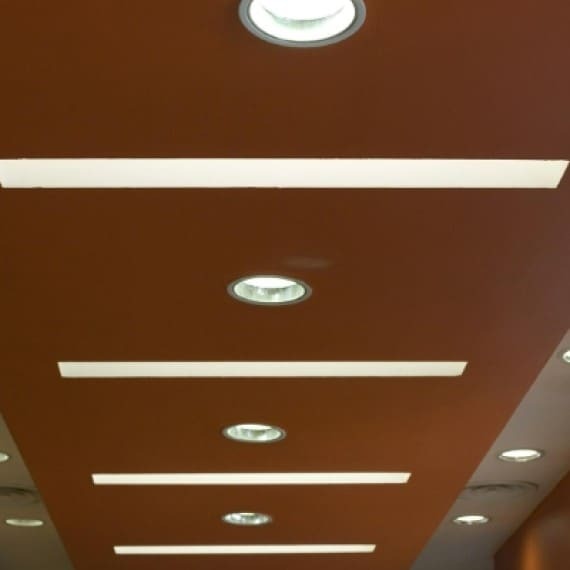 The bottom line is that the efficiency of a poorly designed fixture using even the best LEDs, will be only a fraction of what it could be if the fixture were well-designed. If a manufacturer is not willing to stand behind its product, with a strong warranty program that’s comparable to leading manufacturers, I would see this as a caution flag. Warranties of up to ten years, and 100,000 to 200,000 hours, are not uncommon for quality, commercial-grade products. Note: Operating hours of 24/7 equal 8,760 hours per year. What return-on-investment (ROI) can I expect from my LEDs? It’s expected that LED fixtures will remain more expensive than conventional lighting on a first-cost basis for some time. But higher operating efficiency and longer operating life (reduced maintenance and replacement costs) ensure that LED lighting is already highly competitive on a total cost of ownership basis. This would include all expenses incurred over the life of the system. In certain high usage applications, the payback period can be less than one year with an ROI in excess of 100%. However, for outdoor lighting applications such as parking lots and exterior building fixtures, where the lights are typically on for about 12hours/day, payback periods tend to be significantly longer due to fewer operating hours, and higher installation costs. How long should I realistically expect my LEDs to last? Unlike traditional lighting where the lamp, or bulb, simply burns out, LEDs gradually fade in brightness over time. Because of this, the useful life of LEDs is measured based on the number of operating hours until light emissions reach 70% of their original output. This rating is referred to as 70% lumen maintenance, or L70. Good quality, white LED lighting products are expected to have a useful life of 50,000 to 100,000 hours, or even longer. By comparison, a typical incandescent lamp lasts about 1,000 hours; a comparable CFL, 8,000 to 10,000 hours; and the best linear fluorescent lamps, more than 30,000 hours. So, what causes LEDs to fail? Studies have shown that the power supply, or drivers, are the primary cause of luminaire failure. Drivers, which are similar to the ballast found in fluorescent lighting, provide clean, consistent power to the LED lighting package. The driver is like an electronic engine for your LEDs. The second most common cause of failure is usually the result of overheating caused by poor luminaire design. Overheating is the primary cause of lumen depreciation. Unlike other light sources, LEDs don’t emit heat as infrared radiation, so the heat must be removed by conduction or convection. Thermal management is arguably the most important aspect of a successful LED system design. As a minimum, you should expect your fixtures to perform for no less than the warrantied period stated by the manufacturer – and they may last much longer. It’s also important to look beyond the manufacturer’s warranty, to the product’s “expected service life”. Some manufacturers limit their warranties to 5 years, even though they rate their fixtures with an expected service life of over 100,000 hours – more than 11 years! Whereas some manufacturers offer a full 10-year warranty. Why do LEDs cost more than other types of lighting? Producing LED chips is a highly specialized and expensive process. The cost of LED lighting products varies widely, but good quality products usually entail a significant premium when compared to standard lighting technologies. The good news is that these costs are declining rapidly. And while LED lighting products are initially more expensive than their conventional counterparts, when the costs of energy and maintenance are included in the total cost of ownership (TOC), LED-based products often have a distinct advantage. You can expect to see further advancements in LED efficiency (LPW) as the Department of Energy’s (DOE) long-term goal calls for LED packages to produce 250 lumens per watt, by 2025. How can I be sure I’ll save as much as promised? The only way to be certain that your projected savings estimates are being realized is to have a licensed electrician conduct meter readings of your lighting circuits before, and after, LED installation. This involves opening up your breaker panel and identifying the individual lighting switches where a voltage meter can read the load going through the circuit. A reading can be done on as many circuits as you want to monitor, and the measurements can be recorded for comparative review after the new fixtures are installed. This method generally proves to be about 97% accurate. It’s not realistic to use your monthly electrical bill as a guide for this process because the cost of lighting is typically a small percentage of your overall electrical load/cost. There are far too many variables in the day-to-day operation of most businesses that can have an effect on monthly electrical costs. But by isolating the lighting circuits, and recording before/after readings for those circuits, you can feel confident that your savings are being realized. With LEDs continually getting better, and costs coming down, when is the right time to make the switch to LEDs? Great question – and a very popular one! Here’s how I’d address this question, using a project I recently installed as an example. In this project, 400W metal halides (458W with ballast load) were replaced with 120W LEDs, with a rating of 120 LPW. This project ended up generating an annual savings of $92,000 per year, with a payback time of .95 – or just under one year. As you can see from this example, the LEDs were paid for after just one year, while years 2 through 10 will see the customer reaping the full savings benefit of $92,000 per year, or $828,000 over the nine years. So, after 10 years of terrific savings, if LEDs do hit their projected efficiency target of 250 LPW by 2025, it will still be well worth replacing the 120 LPW LEDs at that time with 250 LPW LEDs, to cut energy costs by a further 55%. Did not find the question you looking for? Challenge Greg – our in-house lighting guru! We will respond via email with your answer.